Cumberland Falls State Park is named after the 125 foot wide waterfall that drops 68 feet in the center of the park. The waterfall is famous because it is the only place in the western hemisphere where you can predictably see a moonbow - a white rainbow created from the light of a full moon. 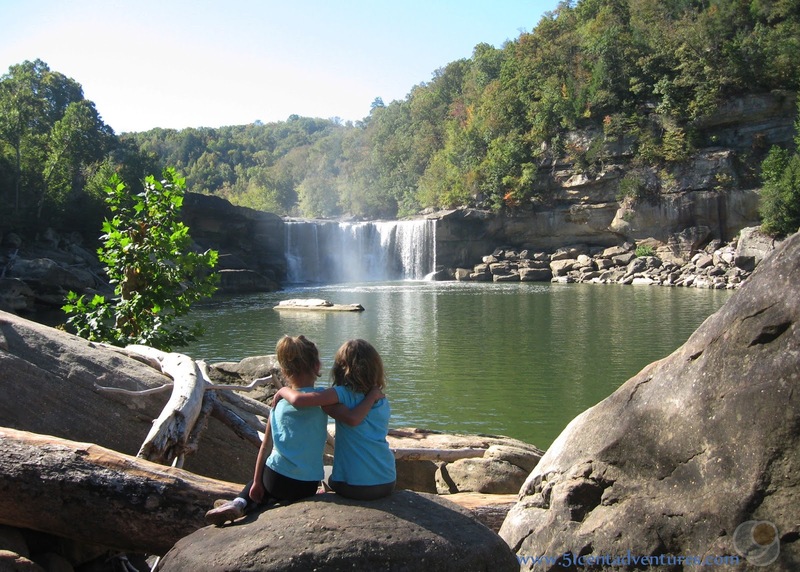 In addition to the amazing waterfall this park has a beautiful resort and campground. There are also miles of enchanting hiking trails running through the park. Cost: Admission to the park is free. Operating Seasons and Hours: The park is open 24 hours a day so that you can visit the waterfall at night to see the moonbow. This was the first stop of the fourth day of our road trip to Tennessee and Kentucky in the fall of 2016. 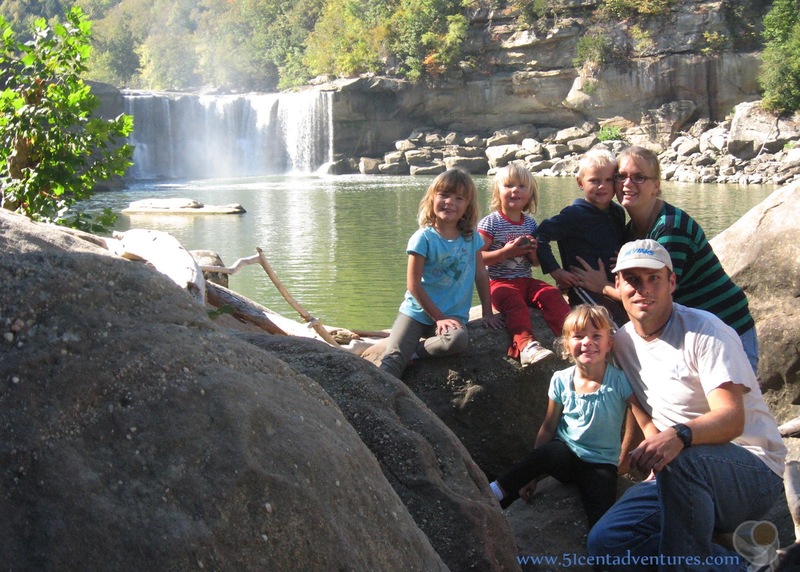 We'd driven from the Great Smoky Mountains National Park in Tennessee, and arrived at Cumberland Falls State Park in the evening. I need to start this post with a confession. 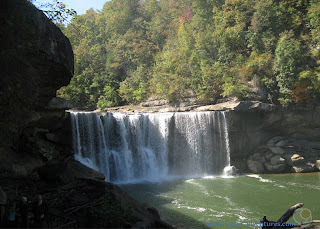 I had no plans to visit Cumberland Falls State Park. Honestly, I didn't even know the park existed. When I planned this trip I wanted to visit Cumberland Gap National Historic Park, but all the campsites at the Cumberland Gap are first come first serve - and I prefer to have reservations. I used the search nearby feature on Reserve America and several alternative campgrounds popped up. 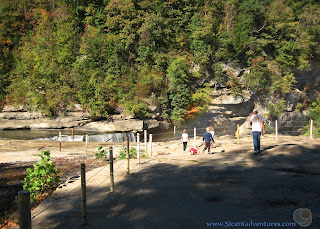 One of them was the campground at Cumberland Falls State Park. 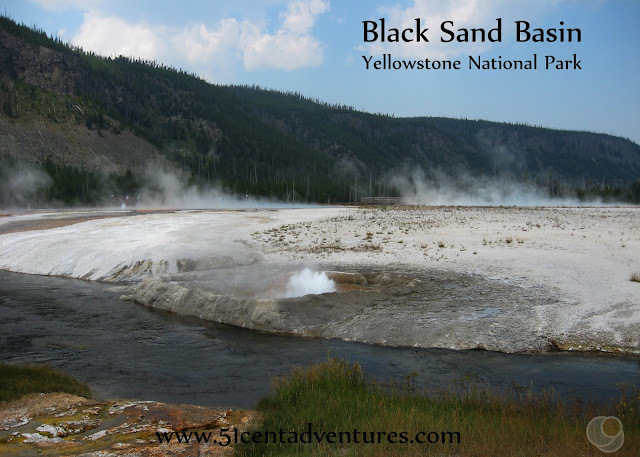 I assumed that since it shared a name with the national park that it would be nearby (in reality the parks are something like 60 miles apart). The website for the state park mentioned something about a waterfall that was similar to Niagara Falls, and so I made a mental note to go see that. 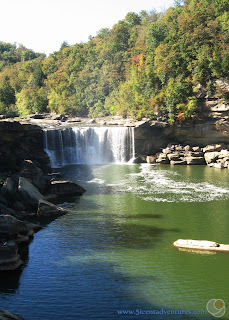 And that was all the thought and research I put into the visiting Cumberland Falls State Park. 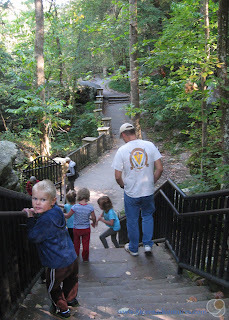 Our day in the Smoky Mountains lasted longer than anticipated so we cut out visiting Cumberland Gap National Historic Park all together. 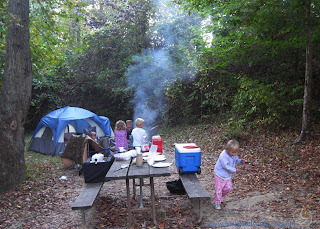 We made it to the campground at Cumberland Falls right at dusk. There was just light enough to set up the tent and start making dinner. We figured we would go see the waterfall the next day. Since I'd barely done any research on the park I didn't know what to expect with the waterfall. As we walked toward the edge of the falls we passed a sign that explained that this waterfall was one of the only places in the world where you could predictably see a Moonbow. A moonbow is a white rainbow created at night with moonlight rather than sunlight. 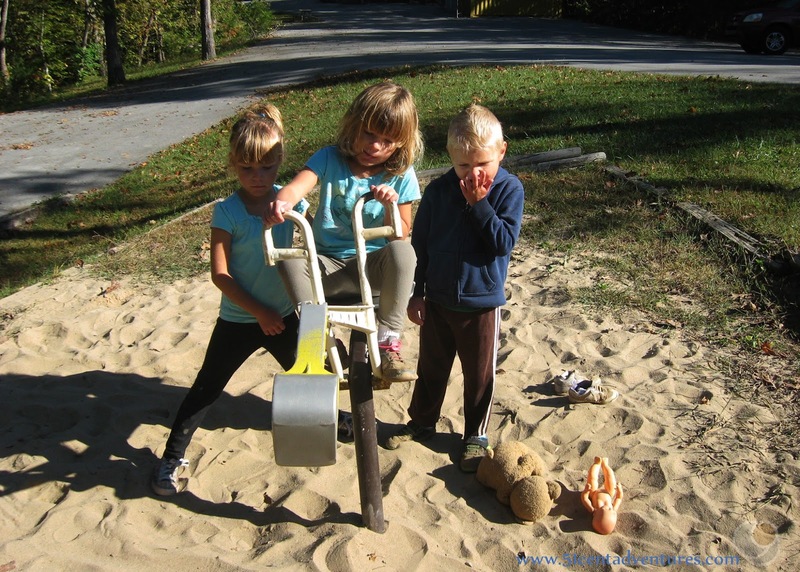 They can occur anywhere, but there are very few places where they occur on a regular basis. 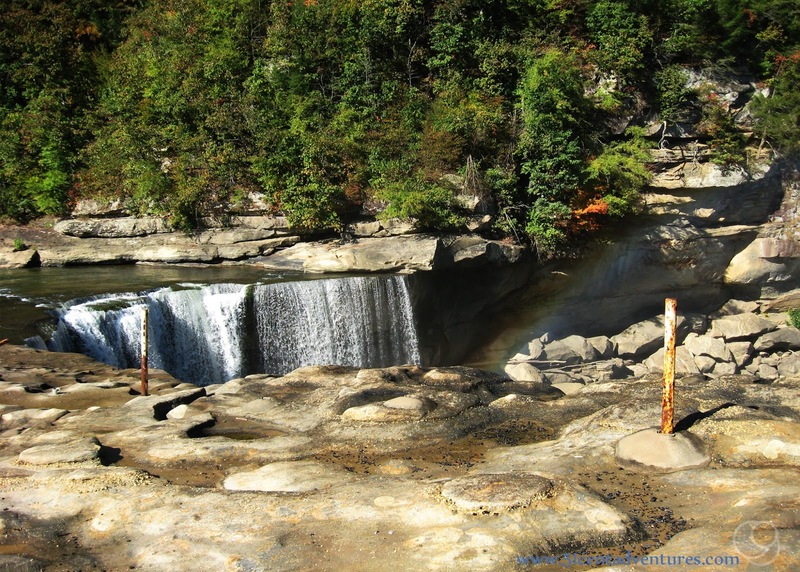 Cumberland Falls State Park happens to be the only place in the western hemisphere where moonbows occur regularly. They happen every full moon. My husband read the sign after I did and exclaimed, "That's THIS waterfall!" He'd read about this waterfall when he was in 5th grade in a book called "Fabulous facts about the 50 states." 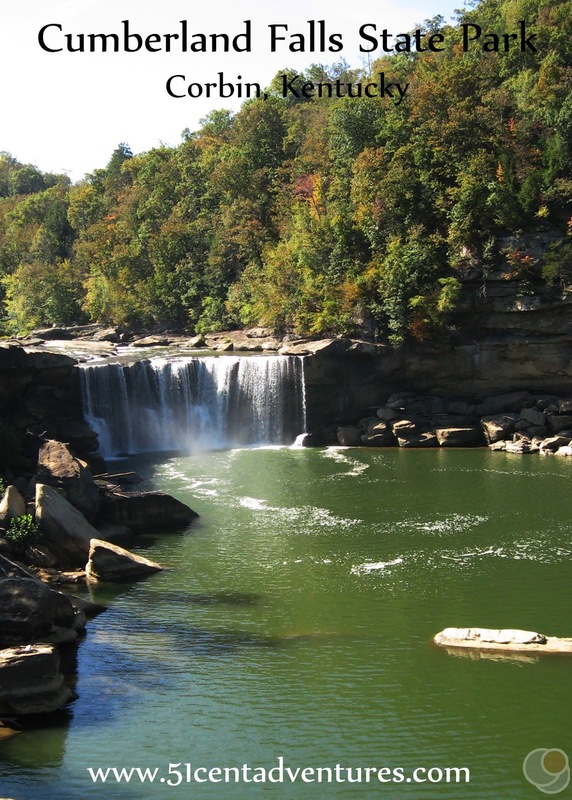 This waterfall was the fabulous fact for Kentucky. The book had never mentioned what the waterfall was called or where exactly it was located. My husband had always wondered. He was thrilled to have found it. I was happy that I could inadvertently make one of his dreams come true. We were very curious about the waterfall now. We were able to walk out to the edge of the falls and see the water spilling over the edge. We were there during the day so we couldn't see a moonbow of course, but we did see a rainbow. The waterfall was really beautiful. I've never been to Niagara Falls, so I can't comment on the "Niagara of the South" billing, but I can tell you that the falls are worth a trip. The trail continued to follow the river so we continued to follow it as well. 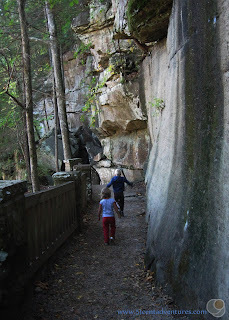 The trail had a sheer rock wall on one side. It felt like we were in an enchanted forest. The trail let out on a rocky beach near the river. People aren't allowed to swim or wade in the river so we couldn't do that. My son and daughter spent a lot of time throwing rocks into the water. I sat on the bank and contemplated how beautiful life is. 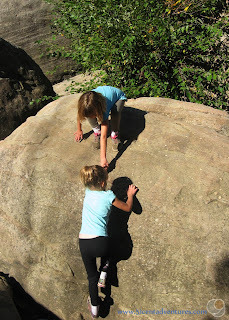 My husband took the twins over to some nearby boulders and they had fun rock climbing. Climbing over the boulders gave them this amazing view of the waterfall. And yielded one of my all time favorite pictures of the twins. These girls are the best of friends. Everyone gathered around for a family picture. I think I was planning on using this as our Christmas Card picture, but with the move back to Utah I completely forgot about it. The trail continued to follow the river, however we were getting hungry and our food was in the car. So we went back up the stairs and back the way we came. If we'd had more time and energy I would have loved to hike on the trails that run all over this area. We caught some more breathtaking views of the water fall as we headed back. There is a little park area up near the edge of the falls. There was a gazebo, a panning for gold area, and a nature center. 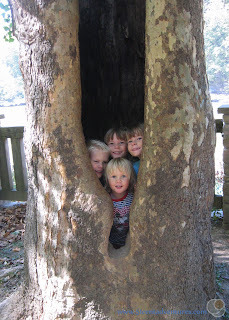 But this hollow tree is what caught the kids' attention. 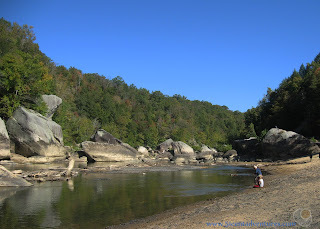 We grabbed the food out of the car and then found a picnic spot along the river upstream from the waterfall. This was such a pretty area. My husband said that this was basically how he envisions heaven. We could see a bridge farther upstream. This bridge is for Highway 90 that crosses the river. We would cross this bridge when we left. We spent at least another hour sitting by the river. We were all pretty reluctant to leave such a pretty area, but alas we had to get going so we could make it to our next campsite before dark. Before I finish this post I want to back up and tell you about our campsite at the Cumberland Falls Campground. Remember we showed up right at dusk. The campground office was already closed when we arrived. (Actually if I remember right it was closed for the holiday weekend anyway.) The campground host directed us to our campsite, but he mentioned that it was going to be very close to the neighbors. He suggested a somewhat secret spot. 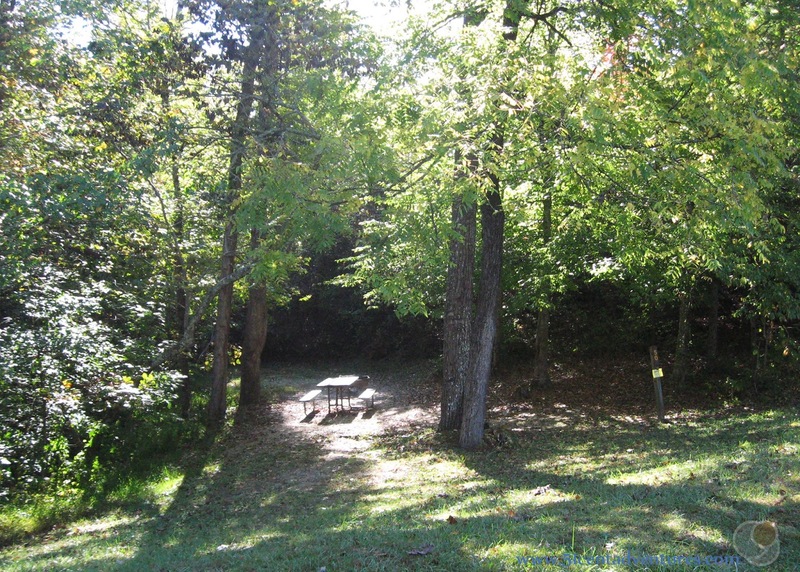 It wasn't listed on the reservation website, but it was a real campsite with a firepit and picnic table. It was down a small hill, but that wasn't a problem for us. Once we got everything set up it was quite nice. In the morning we were near a bathhouse which was great for the adults, and also near a playground which was great for the kids. I liked everything about Cumberland Falls State Park - from the campground to the waterfall. My husband says we must come back here one day and see the moonbow. I'm not complaining about that plan. 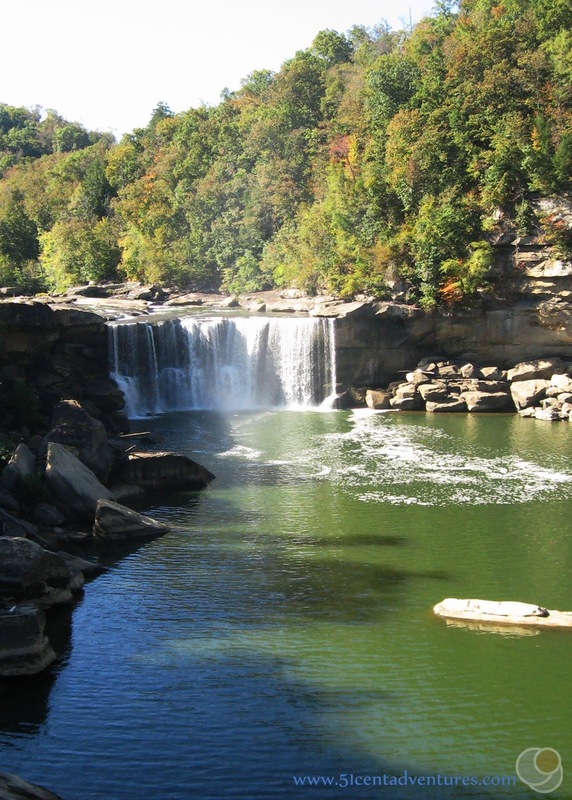 Recommendation: Cumberland Falls State park is a hidden gem of Kentucky. The waterfall is the best part of course, but the whole area is enchanting and beautiful. 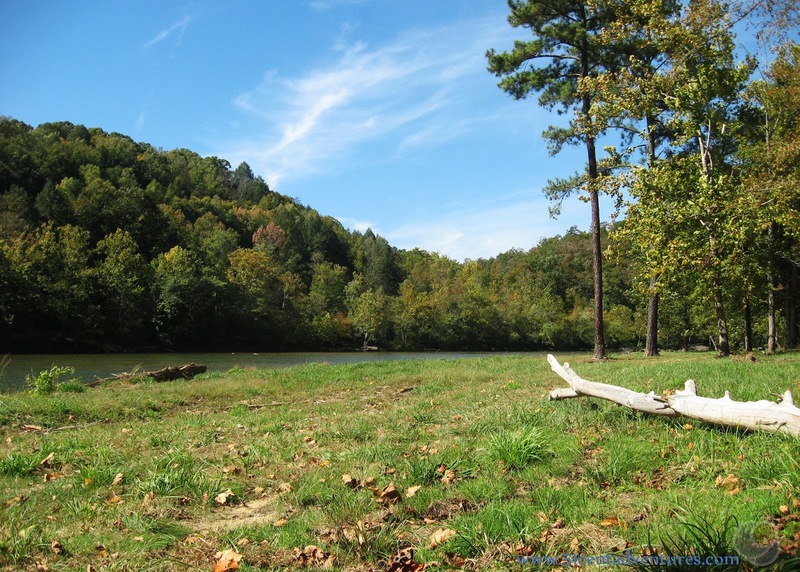 If you are anywhere near this state park you should definitely plan a visit. If possible you should plan your visit during a full moon so you have the opportunity to see a moonbow. Directions: Cumberland Falls State Park is about 25 miles west of Interstate 75. 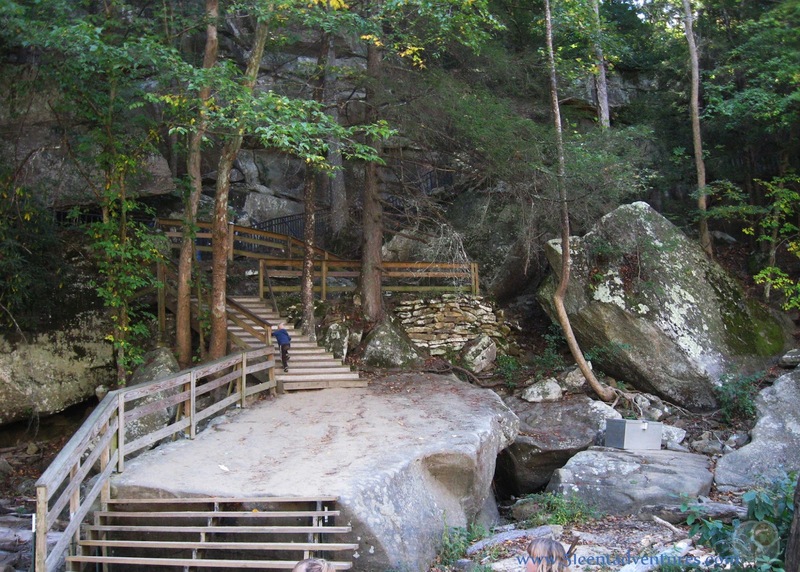 Exit onto Cumberland Falls Parkway and follow the signs to the state park. 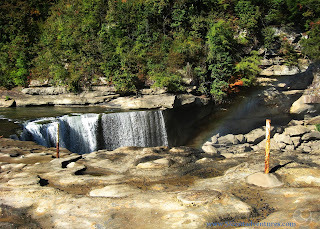 Places Nearby: Yahoo Falls is a 113 foot waterfall that is located about 20 miles west of Cumberland Falls. 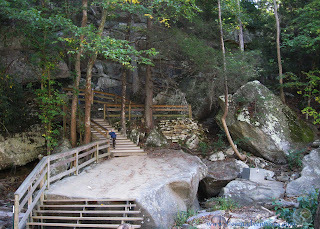 There is a mostly easy one mile trail that leads to the falls. We didn't have time to visit these falls, but they would have made a nice coda to visiting Cumberland Falls. 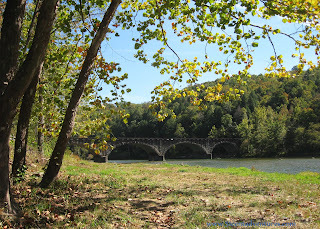 Visit www.nps.gov/biso/planyourvisit/kytrails.htm for more info on how to find Yahoo Falls as well as other places of interest in the area.